DIN Standards are invented for a variety of components including industrial fasteners as DIN 315 Wing Nuts. DIN 315 Nuts are manufactured from Carbon Steel, Acid-Resistant Stainless Steel Grade A2 or A4, Brass, Alloy Steel, Ordinary alloy steel or many other materials. 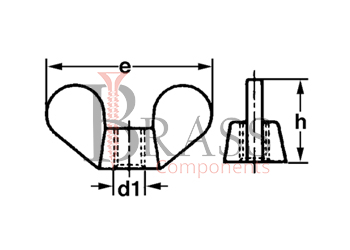 DIN 315 Wing Nuts are available in a wide range of sizes, shapes and materials. The coating allows the use of part in conditions of high humidity and direct contact with water, persistently transferring the corrosion of metal. Feature Two Wings like projections. Two wings protruding 180° from each other which allows the part to be manually turned. DIN 315 Nuts can be easily screwed without any tools. The unique design of wing makes it possible to easily tighten the nut without wrench or other tool. Used for often assembled and disassembled connection with small loads. Used in conjunction with bolts, screws and other fasteners. 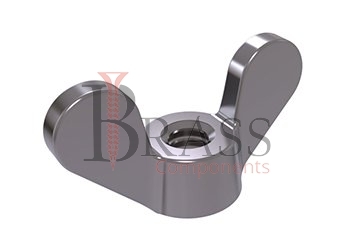 Used in Engineering and Construction to connect parts and fasten parts. Use for mechanism which require frequent and quick assembly/disassembly. Used for many applications where quick hand tensioning and clamping is required. We manufacture DIN 315 Nuts as per Custom Specification and export in Germany, Spain, Netherlands, Portugal, UK and other European Countries. For more Information, Please Contact Us or Inquiry Now.